Student guidance is an important part of school work. How to effectively conduct educational guidance practice in the process of education is a difficult problem that many schools meet under the stress of exam-oriented education. The United States has always attached great importance to student guidance. Its student guidance research and practice has gone through a history of more than a century and developed into a quite mature professional field. At the end of the 19th century and the beginning of the 20th century, although American teachers have been providing information and support for students' personality development, social growth, career development and other aspects, there was no professional consultant in the school. The student-directed movement is regarded as the product of the industrial revolution, and teachers and researchers have made important contributions to the development of student-directed movement. In 1898, a Detroit high school teacher named J.B. Davis offered academic and career counseling to 11th graders. In 1907, Mr. Davis was the principal of a Michigan high school. He demanded "mentoring" as an essential element of the school's English curriculum, designed to "help students develop their personalities, avoid problematic behavior, and align their professional interests with the curriculum and subjects." At the same time, psychologists have introduced and expanded student-led programs in the United States. Eli Weaver, for example, is bringing mentoring and consulting to New York City; Frank Goodwin set up a "system guidance" system in Cincinnati, Ohio; Frank Parsons is regarded as the "father of guidance". He founded the career guidance board in Boston, Massachusetts, and helped young people determine their future career through the scientific selection process through "trait analysis" and "factor analysis". During World War I and World War II, the U.S. military developed and used many methods for testing qualified members of the military. After World War II, educators adopted some of these methods, and the mentoring and counseling movement expanded and began to measure. From the 1940s to the 1950s, student guidance paid attention to mental health and guidance counseling in addition to the test of the mentorship. The psychologist e.g. Williamson developed the popular "trait + factor analysis" model of guidance. In this model, school counselors use information to solve students' problems, especially in career exploration and interpersonal communication. The role of the consultant is to be the mentor, whose job is to improve teaching skills and put them into practice. In 1957, the news of the launch of Sputnik by the former Soviet union shocked America. In order to comprehensively improve the level of basic education and respond to the public's criticism of education, the United States promulgated the national defense education act, which ensures the funding of school testing programs, counseling programs and other programs related to counseling and guidance. Starting in the 1960s, many education experts began to realize that the scope of the "problem solving" student guidance and counseling model was too narrow, and the model even tended to focus on students' problems rather than their overall development. Therefore, the role of school consultants gradually changed, and finally formed today's concept of "consulting". "Consultation" is a comprehensive guidance project including "development-implementation-evaluation", which stipulates that schools should provide consultation services for students, parents and teachers. 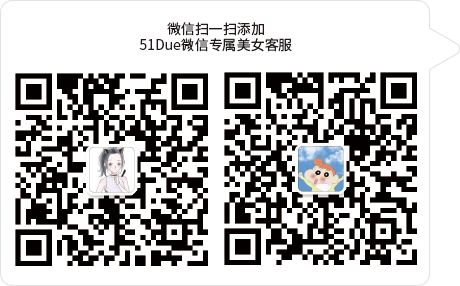 In addition, the primary and secondary school student guidance system is also gradually established. In 1966, the joint committee of primary school consultants was established and published a report describing the role, functions and three major areas of work of primary school consultants. Since the 1980s, while the theoretical connotation of student guidance has been expanded and enriched, professional institutions of student guidance and consultation in the United States have also been developing, such as American counseling association, American school consultants association, American consultants education and supervision association, etc. All the work of these professional institutions and organizations is aimed at making student guidance and consulting work more professional and integrated. At the same time, these expert institutions and organizations also provide certification services for professional guidance and consultation workers. In 1997, for example, the American association of school counselors created national standards that better define the role of school counseling in the American education system. The association defines school counselors as "registered professionals who support students, teachers, and administrators through mentoring, counseling, and coordination of professional work in three areas." According to this definition, the first step of guidance and consultation work is to establish a mutual trust and close working relationship between consultants and students. Whether group counseling or individual counseling, counselors should help students explore and understand the personal value and significance of "learning" and "development". At present, in addition to the guidance system for high school students in the United States, there are a number of university-middle school bridging type of student guidance programs. The following will take Minnesota as an example to illustrate the development of student guidance in the United States. In the United States, student guidance is a very important part of school work, and each learning period generally includes academic guidance, career guidance and life guidance. Academic guidance is mainly aimed at optimizing students' learning methods and solving their learning difficulties in daily teaching and course learning. It also provides guidance on college course selection and professional direction selection for students, aiming to promote students' learning in various sections and help them improve their interest in learning. For example, in junior high school, academic guidance mainly involves two aspects: the choice of schoolwork and future thinking. Career guidance mainly helps students understand their future academic development direction and the possibility of career choice, which plays an important role in students' personal development after high school. Career guidance aims to raise students' awareness of work and help them learn basic decision-making skills. School counselors should provide as wide a range of career information as possible to help students discover their interests and qualifications, thus increasing future job opportunities. Life guidance mainly emphasizes the development of students' self-cognition and social development, including the cultivation of students' various abilities and interests in daily life. It aims to enhance students' communication skills, cooperation strategy skills, problem solving skills and interpersonal skills. The student guidance team consists of psychologists, social workers and school counselors. Generally speaking, the ratio of instructors to students is 1:500 ~ 1:300. Psychological teachers use professional psychological scales and psychological testing means to conduct general psychological testing for all students, or individual tests for students with special performance, in order to detect and identify "high-risk" students, and contact professional institutions for more targeted and more in-depth treatment for these students. The mature psychological research in the United States has provided a solid theoretical basis for the practice of school counseling and guidance, and the high quality of psychology teachers in American primary and secondary schools makes them competent for their own work. Of course, in daily school life, the main responsibility of psychology teachers is to solve some common psychological problems of students or carry out psychological counseling for individual students. Social workers and students is the primary responsibility of the family to build long-term and close relationship, establish archives for students growing attention to student's growth environment, family education situation and the parent-child relationship, long term and positive tracking observation and research, to deepen the student individuality, personality and special skills and interests, to carry out for special education and help students, and to guide and help families to create more conducive to its growing environment for students. Social workers usually have strong interpersonal skills and know how to deal with various types of parents and students. The school consultation and the instruction teacher's duty is directly faces all students to develop the specialized, the omni-directional instruction work. Counseling and guidance teachers must have high professional guidance skills and counseling service skills, including offering specialized guidance courses, carrying out rich group counseling activities, receiving individual counseling and guidance from students, etc. Advisory services for all students also typically require support from special classrooms and specialized equipment. Miller, an American researcher, lists nine of the most important responsibilities of a high school counselor and mentor. Disseminate information on student-led projects to students, parents and staff; Organize and manage student mentoring programs; Evaluate the effectiveness of student guidance program services; Provide "one-to-one" guidance to students on how to solve personal and social problems; Provide students with small group guidance on how to solve personal and social problems; Provide "one on one" guidance to students on how to solve educational problems; Provide students with small group guidance on how to solve educational problems; Pay attention to students, identify those who need special help and correct them accordingly. The center for educational resources and information has advised elementary and secondary school counselors to identify the needs of young people before designing student-led programs. At the same time, the project design should be flexible, exploratory and transitional. In addition, they also pointed out the importance of group guidance, peer cooperation and other methods. Only in this way can teachers help students gradually enhance their sense of responsibility in personal life and education. 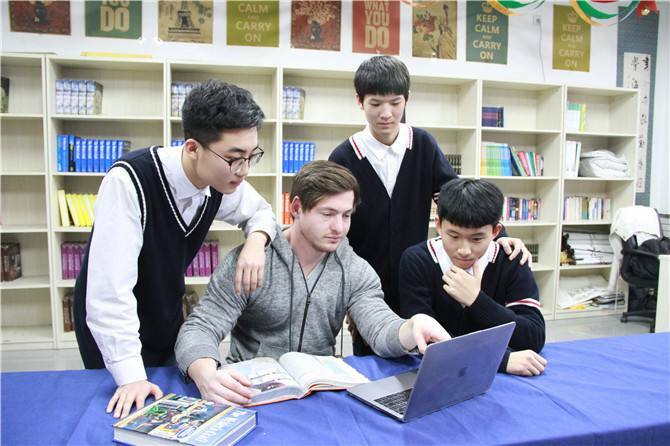 It can be seen that the guidance practice of American high school students, which is composed of psychology teachers, social workers and professional consulting teachers, can integrate various professional forces and become one of the normal work of the school, together with teaching and management. Student guidance practice has both formal curriculum form and flexible individual guidance, which can effectively promote the healthy growth of students. Minnesota attaches great importance to student guidance. In addition to the relatively fixed student guidance system in each middle school and the student guidance practice carried out according to the actual situation of the school, there are many student guidance programs initiated or organized by universities. Some universities even set up special "student guidance offices" in many high schools, forming a professional working group composed of university and middle school teachers. "TRiO" is a typical example. TRiO is a collective name for the U.S. department of education's student support program. Funded by the federal government, the program encourages universities to build student support systems that link them to secondary schools. St. Olaf college in Minnesota is one of the key participants in the program, with a strong track record in student-directed research and practice. Founded in 1874, this private college of arts and sciences has been highly concerned about and practicing the concept of "student service" for the past 10 years. It has not only set up four sub-programs under this national program, but also effectively carried out a series of university-senior high school style student guidance practices. Participating schools that help students learn and experience college life and learning programs include five middle and high schools in different parts of Minnesota. The program is designed to help students who want to complete college go to college and improve their academic achievement during college. The GEAR UP movement, which began in the early 1980s, has been geared UP to GEAR UP college and high school. The program brings together teachers, students, families, and social forces. Participants include st. olave's college, multiple secondary schools, academic centers, the Minnesota office of higher education, the Minnesota academy of young talent, and the boys club. The program has been implemented in five secondary schools in Minnesota, namely st. Paul Humboldt junior high school, st. Paul Humboldt senior high school, northwest high school of Minneapolis, north district high school of Minneapolis, and Minneapolis huasheng high school. The program aims to improve high school students' academic achievement and prepare them for college. In this program, students have many opportunities to develop their self-cognition, which is conducive to exploring their learning interest and professional direction, which is obviously helpful to improve their academic achievements. Statistics show that 95 percent of ETS students complete high school successfully. Eighty percent of ETS students go on to college without a problem. That is impressive compared with the 30% national college-graduation rate. Upon entering college, 58 percent of ETS students enrolled in college programs, compared to 5 percent of students nationwide. Participating schools in the outreach for educational opportunities program include Sao Paulo Humboldt high school and Sao Paulo high school. This is st. Olaf college's direct program for its future students throughout high school and is completely free of charge. Students in grades 9-11 are required to attend weekly tutoring sessions and complete assignments under the guidance of a st Olaf college instructor. In addition, they also need to participate in learning method instruction courses, university and college course guidance, career choice courses and so on. Students in year 12 will join "advance workshops", which will make it easier for them to apply to universities and get financial support. Student support services project funding support from the federal ministry of education, Howard huth medical school, hyster foundation and st. Olaf college. The transition from high school to college is a major challenge for students. The program aims to help students make the transition and provide them with academic support. Before entering the university, the student support service program provides a five-week summer program for students. The courses cover university study guidance, university writing, biology 121, campus employment introduction, cultural activities introduction and so on. Academic support and guidance from the student support service program will be provided throughout the student's college years.